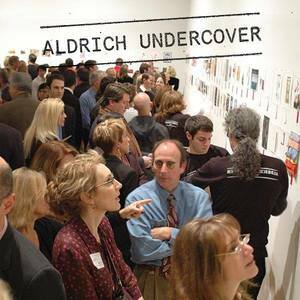 Aldrich Undercover is a secret art sale that will take place at the Museum on Saturday, September 29. Take home a work of art by one (or more) of the over 125 participating artists who have previously exhibited at The Aldrich Contemporary Art Museum. Each work of art is priced at $350. The catch is that the identity of the artist who made each work will only be revealed after a work of art has been purchased. In addition to the art sale, The Shake and Stir Bar Truck will be on site serving up festive cocktails. VIP ticket purchasers receive priority access to the art sale. VIP tickets (with priority access to the art sale) are $500 and general admission tickets are $150. Tickets are available at shop.aldrichart.org.